The MessagePad 2100 was the last hurrah for Apple's Newton line. November 7, 1997: Apple releases the Newton MessagePad 2100, the last and best iteration of the company’s early line of handheld devices. Among its improvements over previous generations, the MessagePad 2100 packs expanded memory, enhanced speed, and upgraded communications software. Nevertheless, the Newton’s fate is sealed: It will be scrapped by Steve Jobs, who has just returned to Apple, within months. As I wrote when celebrating the 1993 launch of the original MessagePad, I think this product line is probably the most underrated in Apple’s history. Apple’s first attempt at a true standalone mobile device (unlike, say, the Macintosh Portable or the PowerBook, which were shrunk-down Macs), the MessagePad gave users a PDA complete with stylus and advanced handwriting recognition. Unfortunately, it suffered from bad early word of mouth. The device came at a time when Apple was in the financial doldrums. Plus, the MessagePad lacked the necessary applications to make it a “must have” gadget. Most crucially, this pre-internet mobile device simply arrived too early. The MessagePad would have benefited enormously from internet connectivity. With that said, the MessagePad 2100 was the best MessagePad ever released. It boasted a 162-MHz StrongARM 110 processor, 8MB of Mask ROM, and 8MB of RAM (4MB of DRAM and 4MB of flash RAM). While primitive by today’s standards, its 16-level grayscale backlit LCD display — offering a 480-by-320 resolution with 100 dpi — was very good for its time. The Newton’s use of artificial intelligence to, for instance, show contextual awareness of what a person was writing, was also greatly improved by the time the MessagePad 2100 was released. The device’s oft-criticized handwriting-recognition feature also worked better than ever. 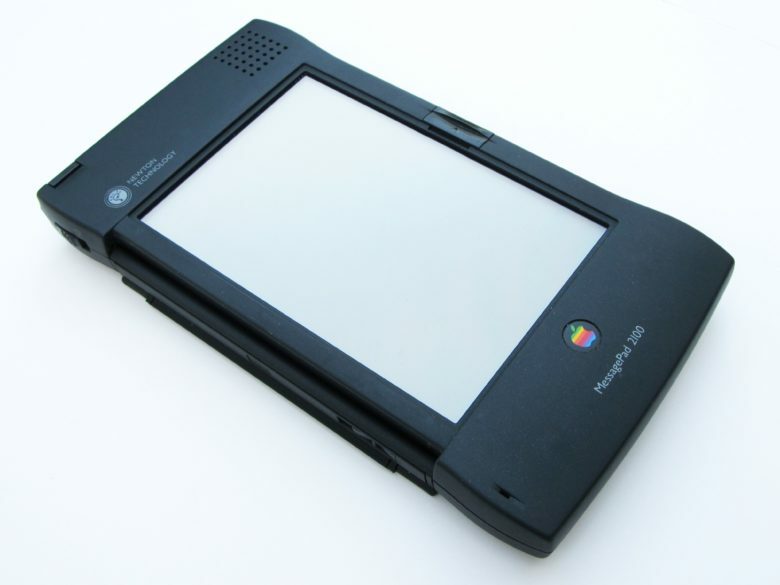 As one last note of trivia, the MessagePad 2100 was the only Newton released by Newton Inc., a spinoff company from Apple, which was quickly jettisoned when Jobs returned. Did you own a MessagePad 2100? Leave your comments below.